The Bioelectromagnetics Society has a rigorous procedure to choose from outstanding nominations competing for the d’Arsonval Award. These nominations are initially carefully reviewed by members of the BEMS Awards Committee (composed of 5 board members and the last 5 d’Arsonval Award winners) before a recommendation is submitted to the Board of Director for the final vote. It is an honour to announce that the Board of Directors of BEMS has supported the recommendation from the awards committee to give the d’Arsonval Award (2018) to J. Patrick Reilly in recognition of his outstanding achievements in Bioelectromagnetics Research. Pat Reilly has been conducting bioelectromagnetics research for over 50 years, with over 160 published works, including 4 major text books. He first studied radar propagation at the Johns Hopkins University Applied Physics Laboratory beginning in 1965 when he was in graduate school. In the mid 70’s, he started to investigate electrical influence on environment and people, and was a principle advisor to the Maryland State Department of Natural Resources providing biologically-based assessment of the electromagnetic effects of transmission lines across the electromagnetic spectrum. Since the early 80’s, Pat Reilly has concentrated his focus on human sensitivity to electrical stimulation by contact currents and by induction from exposure to electric and magnetic fields. More recently he has been providing consulting work on the safety and effectiveness of electrical stun devices and electrical effects on astronauts during extravehicular activities. Pat Reilly has provided invaluable service to the bioelectromagnetics community by serving on several standard-setting committees, and was the primary resource for technical development of IEEE Standard C95.6-2002, “IEEE Standard for Safety Levels with Respect to Human Exposure to Electromagnetic Fields, 0-3 kHz.” His work as a consultant also influenced development and revision of guidelines prepared by the International Commission on Non-Ionizing Radiation Protection (ICNIRP) and Australian Radiation Protection and Nuclear Safety Agency (ARPANSA). Reilly became a member of BEMS in 1983, and has been a participant on various BEMS working groups and program planning committees. Pat Rilley’s research, scholarly works, and extensive service to the bioelectromagnetics community at large, has been acknowledged and praised by several colleagues including previous winners of d’Arsonval award who submitted his nomination to BEMS awards committee. 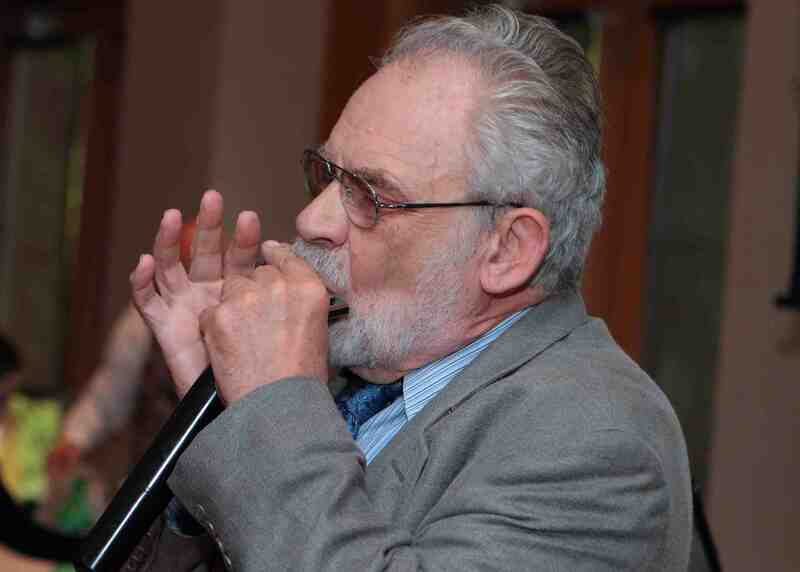 Pat is also a keen Harmonica player and is known amongst colleagues and friends as the “Harmonica Guy”!